Two more Writ petitions have been filed in the Supreme Court against the 10% economic reservation introduced by Union Government by way of Constitutional (103rd Amendment) Act 2019 . 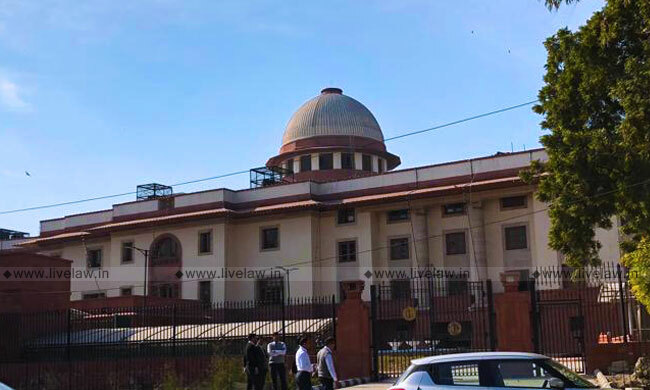 Advocate Reepak Kansal and Advocate Pawan filed two separate petitions challenging the validity of the Constitutional (103rd Amendment) Act 2019 on the ground that it abrogates the basic structure of the Constitution in exceeding the 50% ceiling on reservation as imposed in the 1993 Indira Sawhney case. Both the Houses of the Parliament had passed the 124th constitutional amendment bill to provide 10 % reservation in public employment and higher education to the EWS on January 9 and enacted the Constitution (One Hundred and Third Amendment) Act, 2019 to enable the State to make reservation on the economic criterion alone. The Act, by virtue of which Articles 15 and 16 stand amended, received the assent of the President on January 12 and was published in the Gazette on the same day. The petitioners have placed reliance on the Maratha and Patidar quota cases where the apex court and several High Courts have struck down the reservations exceeding the 50% cap. "It is clear that the concept of reservation itself is not with reference to the economic status of a person but rather in context of the community to which he belongs, with an idea to integrate that community into the mainstream system of education and employment", it is further contended. The petitions narrate how during one Constituent Assemble debate, a question was posed as to whether 'backward class' in Article 16 (4) was intended in terms of economic status or caste, and the intention of the drafters was explained by Dr. B. R. Ambedkar- "Drafting Committee had to produce a formula which would reconcile these points of view, firstly, that there shall be equality of opportunity, secondly that there shall be reservations in favour of certain communities which have not so far had a `proper look-in' so to say into the administration"
The petitioners also mention how subsequently, due to some decisions of the Supreme Court, a question arose about the competence of the State to prescribe reservations in private and minority institutions in the cases of P. A. Inamdar and T.M.A. Pai, and how to overcome these difficulties, the Parliament again amended Article 15 by way of the Constitution (Ninety-third Amendment) Act, 2005 to add a clause (5). It is submitted that the Parliament while inserting Article 15(5) maintained reservation to be in the interest of socially backward communities, while the impugned amendment has totally deviated from the Constitutional Scheme, resulting in a jolt to the basic structure of the Constitution- "It has never been the intention of the framers of the constitution to make reservations solely based on economic status of an individual, nor it is in accordance with Constitutional Morality"
The first challenge to this 103rd Constitutional Amendment in the top court was mounted by NGO Youth for Equality within hours of the Parliament passing the same, even before it had received the assent of the President.